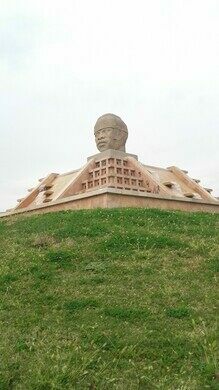 An exact replica of a colossal Olmec head sits atop a pyramid within a Madrid traffic circle. A large head, perched atop a stepped pyramid, keeps an unblinking eye on drivers as they whirl around a traffic circle in Madrid. The odd sight looks as though it should be behind glass in museum, not plopped outside and encircled by a steady stream of cars. The earliest known map to show America, discovered by accident at a Paris bookshop. The looming roadside structure is actually an exact replica of an Olmec head known as “Colossal Head 8” which was carved sometime between 1200 and 900 BC. Also called “The King,” the ancient boulder that inspired this new version is one of 17 colossal heads discovered throughout Mexico. The heads are a hallmark relic of the Olmec civilization, which once flourished across ancient Mesoamerica. Archaeologists are still unclear as to what the giant heads represent, or how the big boulders were transported across vast distances. 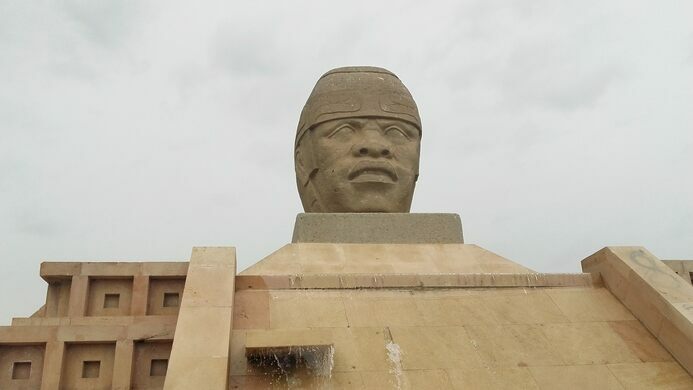 The Olmec head above the Madrid traffic circle was made in 2005 by the Mexican sculptor Ignacio Pérez Solano. It was donated by the Mexican state of Veracruz in 2007. The traffic circle head is the same size and weight as the colossal head it’s modeled after. The sculptor spent about three months working to carve it. 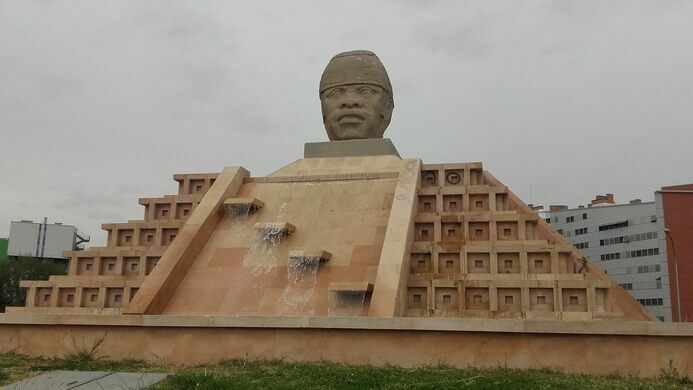 The big Olmec head is in the center of a roundabout in the Ensanche de Vallecas neighborhood, located southeast of the city center. The Cabeza Olmeca traffic circle is an approximately half-mile walk from the tube station Congosto. Walk along the street Peña Sorrapia until you reach the park, where you can see the monument. An iconic photograph from the Spanish Civil War saved this shrapnel-scarred historic house from destruction. This amazing abuela became a diehard metal fan late in life and an icon of Madrid's '80s rock scene. These bronze sculptures sow whimsy by hamming it up on a pedestrian mall. This eye-catching roundabout sculpture commemorates one of England's best World War II-era "shadow factories."